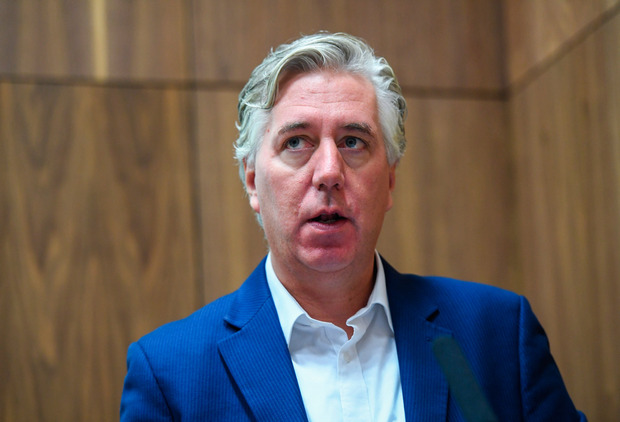 The FAI have said they are willing to meet with Sport Ireland and Minister Shane Ross to discuss the circumstances surrounding a €100k bridging loan the association received from CEO John Delaney in 2017. The FAI admitted last weekend that it has received a €100,000 loan from Delaney in April 2017 to ease cash flow problems. The transaction was not mentioned in the audited accounts for 2017 and the FAI have yet to give a detailed explanation of what it called “a short-term cash flow issue”. Ahead of a planned appearance by Delaney at An Oireachtas committee next month, Sport Ireland have asked for clarification from the FAI, who received €7.25m in state funding in 2017. A statement from the Association this evening confirmed that they have replied to Sport Ireland's request and had also been in contact with the Office of the Director of Corporate Enforcement (ODCE) over the issue. It read: "The Football Association of Ireland confirms that a reply has been sent to John Treacy, CEO of Sport Ireland, in relation to a letter received on behalf of Minister for Transport, Tourism and Sport Shane Ross on Tuesday. "The FAI has answered all queries raised in the letter from Mr Treacy and looks forward to his response. "The FAI are also willing to meet with Minister Ross and Sport Ireland to discuss these matters further. "Also, the FAI has also written to the Office of the Director of Corporate Enforcement offering clarification on any issues raised by a 2017 bridging loan made by Chief Executive Officer John Delaney to the Association and will answer any questions that the ODCE may have. "The FAI also acknowledges that we are invited to appear in the front of the Oireachtas Committee on Sport on Wednesday, April 10."